How many times has an advertisement caught your eye as you scrolled through post after post on Facebook or Instagram? You glanced at it for a few seconds, or—even better—you click through to their website to learn more about the company, product, or brand. Social-savvy companies know that advertising on Facebook is a great way to connect with new consumers to generate leads, and with Facebook offering a variety of targeted capabilities for its ad users, this is exactly the type of advertising strategy you need to implement in 2017. 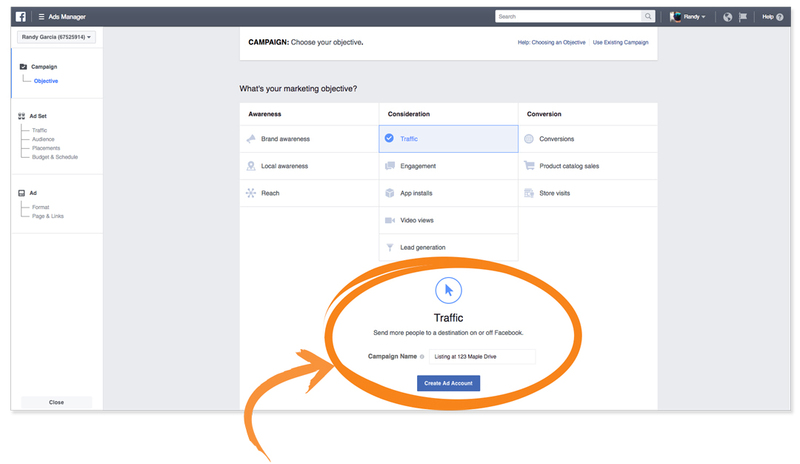 In Part 2 of “Facebook Ads Made Easy,” we will focus on campaign creation along with a step-by-step guide on how to set up your first campaign. Before getting started, think about your campaign objective and the action you want your audience and new potential prospects to take after viewing your ad. You’ve learned that in order to launch Facebook Ads, you need a Business Page (which we covered in Part 1 – Creating a Business Page). To set up a campaign, click on the dropdown menu resembling a downward arrow, then scroll down to the “Create Ads” option. 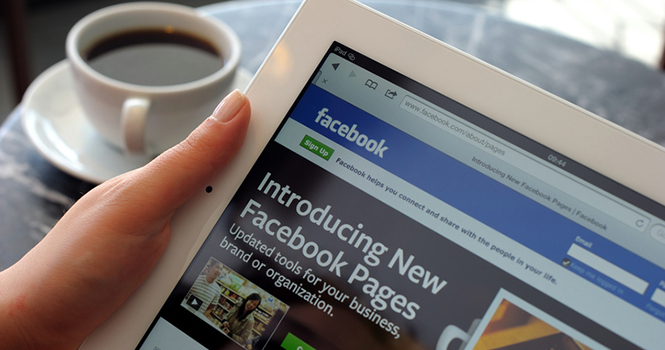 This will take you to the “Ads Manager Tool” where you will create your Facebook Ad campaigns. Facebook offers over 13 different ad objectives you can choose from; for the purpose of keeping things simple, this example will focus on generating traffic for a specific listing. The goal of the traffic objective is to drive new visitors to your site. Make sure you’re sending traffic to a page with a lead capture form to convert the new visitors into leads. Below is how to create a traffic ad. Clicking “Continue” will bring you to the page below. This is where you will create your audience, select your ad placement, add a budget, and set your schedule. This is where the fun begins: Facebook offers real estate agents diverse ad targeting capabilities to help you get the best results from your ads. Geo-specific targeting (such as targeting specific zip codes or areas near your listing) and targeting people based on their behavior (for example, targeting someone who is “likely to move”). In Part 3 of this series, we will show you how to create your “Audience, Placement, and Budget” in your Facebook Ads Manager. If keeping up with your social strategy is too much for you, let us help! Homes.com Social Fuel takes care of your social strategy, providing you with everything from account setup, post creation, engagement, and Facebook Ad management. We will even manage your online reputation and monitor how your business ranks in search results so you can focus on selling real estate.